Time-Domain Magnetic Resonance is a well established analytical technique that has been used for decades within the Food industry. Spinlock’s unique innovations have widen the application possibilities for this technology with unique technological advantages, such as the measurement of Oleic Acid and the elimination of sample drying requirements. Today, Geneticists, Chemists, and Food Quality Engineers use Spinlock Products for Research and Quality Control & Assurance purposes.  Learn more about Spinlock’s contributions to the Agriculture and Food industries, below. Production, collection and genetics industry of oil seeds and oil fruits is one of the strongest global economies. As it evolves, it requires innovation and state-of-the-art technology which accompanies its growing process. Spinlock focuses on their specific needs; that is why it offers comprehensive solutions which are unique in the market. Besides the need to determine oil and moisture percentage on grains and oils, the industry seeks solutions to handle crops in order to increase yield and quality. Crops of super-producing seeds of oleic acid are favored since oils containing this oleic acid improve their stability, and thus their value. 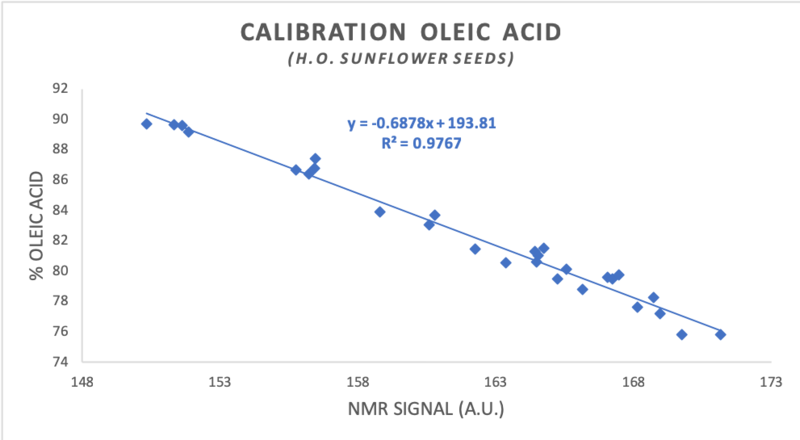 The NMR analysis of individual seeds allows the selection and reproduction of seeds with high oleic acid content farming them after the determination, since this technique does not destroy the sample. In this way, the NMR technique becomes a tool for seed and oil quality control which makes daily work easier for producers, service and research laboratories. (*) Oleic Acid, Linoleic Acid and Total Saturated Fatty Acid. The right moment to start harvesting, by means of measuring the oil production curve of the olive fruit, to extract the highest possible yield in oil content without risking acidity. Quality Control and price determinator in trade operations. The performance of Extraction Line, by means of controlling the Oil in fruit vis-a-vis the oil in the Pomace and Oil effectively extracted. When Spinlock first approached the Industry, there was a strong call for a device that would be as precise as NMR (Magnetic Resonance) but would be able to measure “online”, meaning “without having to wait 13 hours for the sample to be dried in the oven”. The R+D team worked intensively to develop a solution. It was always a problem for the industry, as a press not adequately regulated could imply thousands of U.S Dollars in losses for the oil company or the fruit owner during a single night. The research concluded with the development of the first and only (patented) method to measure humid olive paste, fast and online, with the advantages of the precision and robustness of Nuclear Magnetic Resonance. This technique has allowed Spinlock to position SLK 100 and SLK 200 products in all the main Olive Oil producing countries like Spain, Italy, Australia and Argentina. With Spinlock methodology for olive analysis, a unique and simultaneous measurement can be performed to determine the material fat and moisture on dry basis and wet basis. These parameters, together with the oleic acid and other fatty acid contents, allow determining the oil quality safely and quickly. With this methodology, there is no need to previously dry the samples which greatly reduces the process times and delivers wet basis analysis results in just 2 minutes. The Avocado Production is a fast-growing industry dominated by the discovered health benefits of the Avocado and its customer acceptance for culinary and consumption in general. 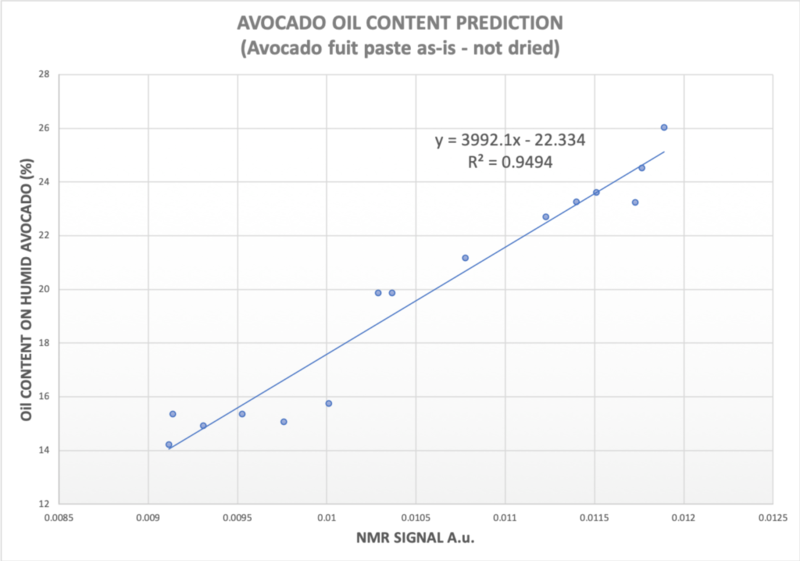 Spinlock has applied its unique know-how related to the Fat content determination in high moisture samples to the quality and production control of Avocado. Just like the case of Mayonaise and Olives, Spinlock’s unique technology offers the possibility to control online (and also inline) parameters like Moisture and Fat content of Avocado Fruit, Pomace and also Oil. The right moment to start harvesting, by means of measuring the oil production curve of the Avocado fruit, to extract the highest possible yield in oil content without risking diseases or quality loss. For the Avocado Industry, in particular, Spinlock offers the unique advantage of being able to control the production online and very quickly. In adition, Inline NMRs are a growing market and hold a continued customer acceptance as allowing the control and measurement of all samples delivers clients a double benefit: a) controlling the entire production, and b) with the Inline NMR being able to act to separate or discard a product with e.g. a disease before it is processed or packed is a unique advantage to ensure a 100% quality control on any production line. (*) Oleic Acid, Linoleic Acid. The accurate analysis of fat and water content is very important in the dairy industry due to quality control and regular control compliance. The pulse NMR is an interesting method to determine the fat and water content in dairy products, since it is a non-destructive, sensitive and direct approach. Dairy samples can be analyzed without extraction or dependence on chemical reactions or indicators. The NMR analysis method is possible due to a pulse NMR analyzer available. This technique is based on the NMR relaxometry analysis. It allows distinguishing within water content, free water and structured water (moisture), and within fat content, solid, crystalline, amorphous, and liquid fat. Compared to classic methods, such as solvent fat extraction or oven drying, the NMR offers many advantages. Besides its speed, the analysis accuracy and reproducibility make the NMR one of the most profitable technologies at the moment. The SLK -200 NMR analyzer of Spinlock allows to measure Fat and Moisture Content in Chocolate. The SLK 200 delivers fast (seconds) and accurate results with a non-destructive method that guarantees high levels of reproducibility. The SLK 200 allows immediate feedback to the production plant to control the process. It does not destroy or alter the sample allowing repetitions and multiple measurements.